Despite dropping out (and we use that term loosely) of this past weekends World Cup round, Jeremy Powers remains number one in the rankings. Powers is still number one according to the computer, despite dropping a few spots in all categories except UCI Points. Powers was voted number two in the polls, which helped him maintain his number one spot. Sven Nys was once again the number one rider in the polls followed by Powers, Paul Mumford, Niels Albert and Kevin Pauwels. Sadly, for the rabid Paul Mumford fans who voted in this weeks polls, he sits 162nd in the computer rankings, making him 126th overall. Nicolas Bazin slips down to the number three spot, but still remains number two in the computer. Niels Albert slides into the number four spot after finishing fourth in the polls and sixth in the computer rankings. Like Bazin, Martin Bina continues to hang on to a high placing due to early season success. Ryan Trerbon becomes the only American besides Powers to remain in the top ten, slipping to eighth Jonathan Pages jumps to the eleven spot as the computer ranks him number one in strength of schedule and race quality. Page is also the highest ranked rider without a win this season. Aitor Gutierrez (61st in the rankings) won his first, and only, race of the season making him number one in terms of winning percentage. 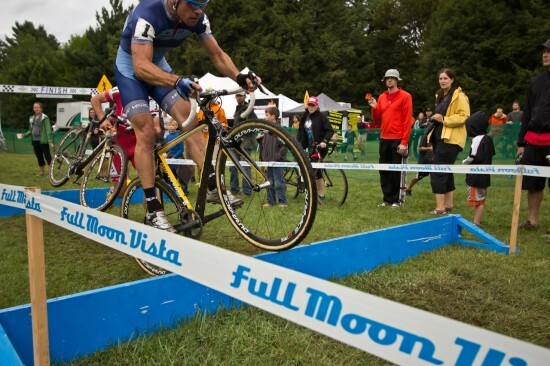 Finally, Adam Myerson drops two spots to 23rd, but remains the only rider in the top 25 without any UCI points. This entry was posted in Races and tagged adam myerson, aitor gutierrez, Cyclocross, jeremy powers, jonathan page, martin bina, nicolas bazin, niels albert, paul mumford, rankings, ryan trebon, sven nys, top 25. Bookmark the permalink.